The FPSO is being developed for deployment in the Egina oil field, located 150km off the coast of Nigeria. The field is currently under development and production is scheduled to begin in 2018. 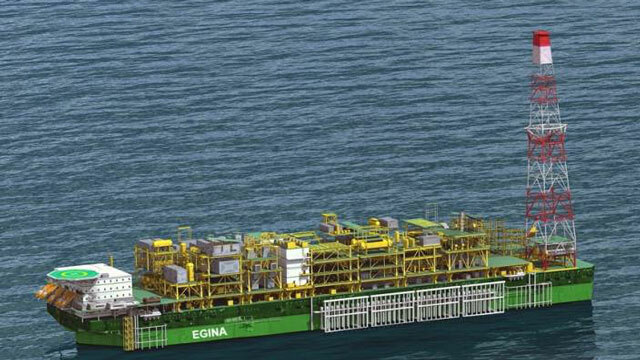 The multi-billion dollar Egina Floating Production Storage and Offloading (FPSO) vessel currently under construction in Geoje, South Korea, will begin its sail to Nigeria in August. The Egina Field when completed is expected to add 200,000 barrels per day to the national oil production. Meanwhile, the Nigerian Maritime Administration and Safety Agency (NIMASA), has commenced preparations to receive the vessel amid tight security and safety procedures. The Director General, NIMASA, Dakuku Peterside, said the project, which is unprecedented in the history of Nigeria, will increase the knowledge base of NIMASA and ultimately fetch the country the much needed foreign exchange. 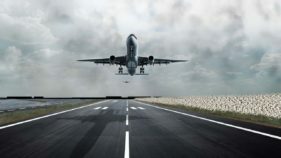 Peterside disclosed this during a meeting with the Executive Vice President of Samsung,Younsang Won, representatives of Total E&P Nigeria, and the Vice President in charge of Egina project, Yongho Jo, while on a working visit to inspect the project at the Samsung Shipyard in the Samsung Heavy Industries in Geoje, South Korea. 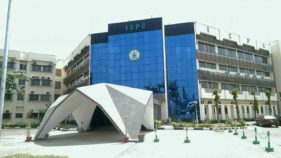 He also assured Total and other prospective investors that the Agency would continue to create a conducive environment to build investors’ confidence to enable them come up with more projects of this nature. Dakuku further commended Samsung and Total E&P for having faith in Nigeria, and efforts to comply with the Nigerian Content Law. He however charged the Executive Vice President of Samsung to ensure compliance to the Cabotage Law and other enabling Nigerian laws when the FPSO berths in Nigeria. 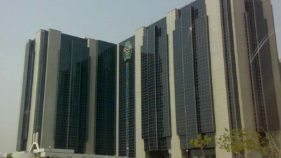 He added that the Nigerian Government is working hard to provide a better environment for the ease of doing business. Younsang Won promised that the FPSO will be ready for movement to Nigeria in August, and assured that the quality of the project will bear the mark of excellence associated with Samsung Heavy industries.